For the 24 hours to 23:00 GMT, the USD rose 0.22% against the CAD and closed at 1.3299. In the Asian session, at GMT0400, the pair is trading at 1.3309, with the USD trading 0.08% higher against the CAD from yesterday’s close. 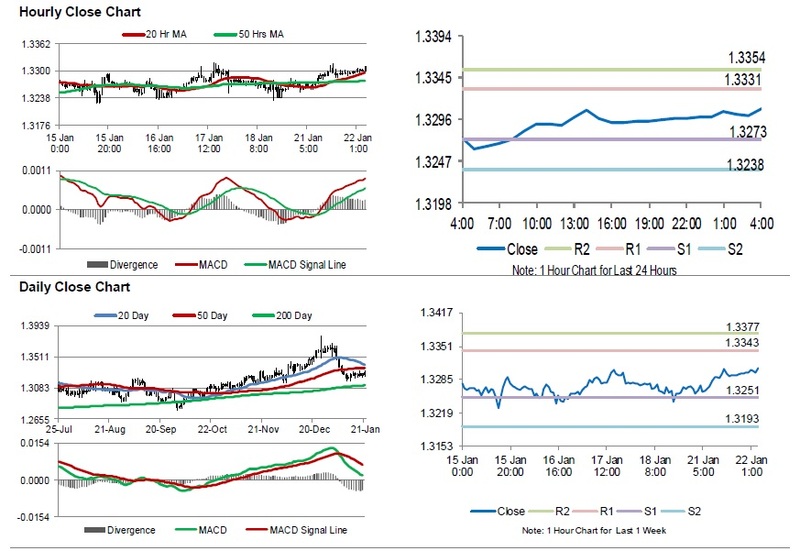 The pair is expected to find support at 1.3273, and a fall through could take it to the next support level of 1.3238. The pair is expected to find its first resistance at 1.3331, and a rise through could take it to the next resistance level of 1.3354. Looking ahead, investors would await Canada’s CAD manufacturing shipments for November, slated to release later in the day. DISCLAIMER : GCI's Daily Market Commentary is provided for informational purposes only. The information contained in these reports is gathered from reputable news sources and is not intended to be used as investment advice. GCI assumes no responsibility or liability from gains or losses incurred by the information herein contained. Is The Dovish Policy Swivel From G7 CB’s The Right Move?